NO freebies. NO timing chip. NO singlet. 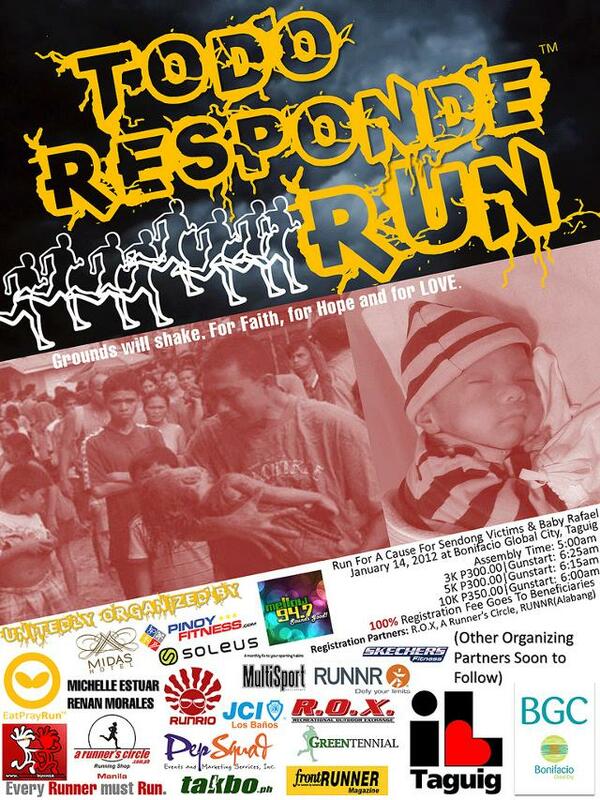 This is a fun run dedicated to the victims of typhoon Sendong and baby Rafael. This is OUR race, this is OUR event, this is our RUN FOR A CAUSE!